In the U.S., Louisiana is sometimes known as “bayou country” thanks to its marshy, crocodile-laced swamps. Life on the bayou can be rough and tough, as Sebastian Bachórzewski shows us in one of his latest models. By mixing various earthy colors and greens, Sebastian captures the combination of muddy swampland with wild overgrowth. 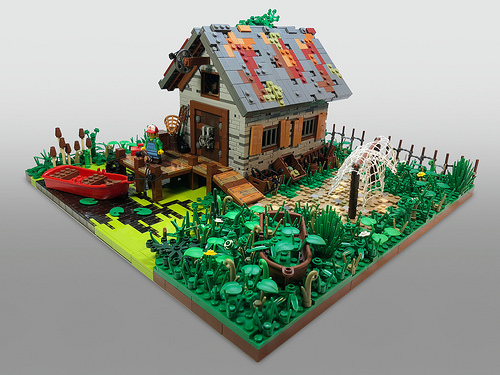 His rustic cabin shows signs of weathering within a harsh environment, and the way the bright green algae meets the dark and murky water is sublimely beautiful.